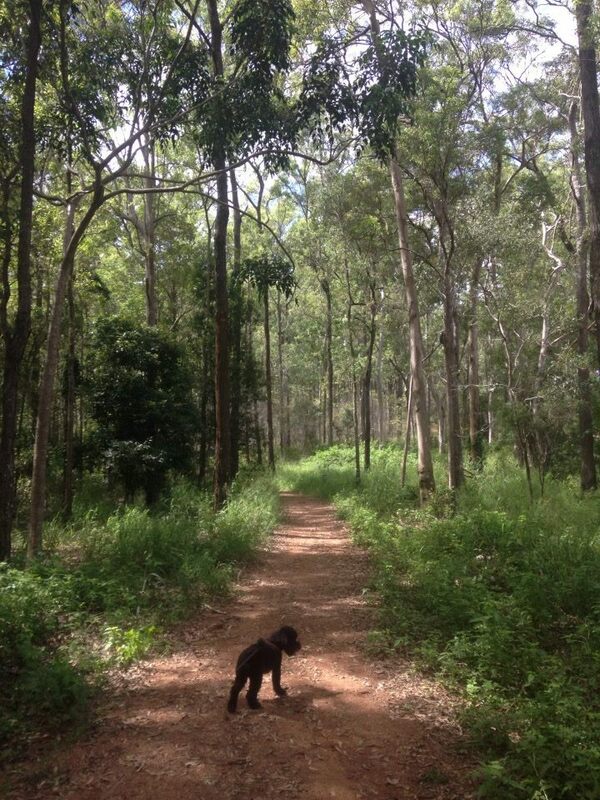 Living in Brisbane, quite often I feel I need to escape the endless suburbia and head into the dense greenery. But when that involves spending an over an hour on traffic choked motorways to reach the Gold or Sunshine Coast hinterland, it can feel like a major deterrent. So instead I end up spending another weekend in the concrete jungle, vowing I'll next weekend I'll get myself sorted and finally escape the city. Little did I know, but just 25 minutes from Brisbane is an expansive patch of native bushland known as the Moggill Conservation Park (sometimes referred to as Moggill Regional Park.) It's a bushland reserve that for whatever reason, I've only just discovered, and for many other reasons there's plenty of incentives for people to discover the park for themselves. 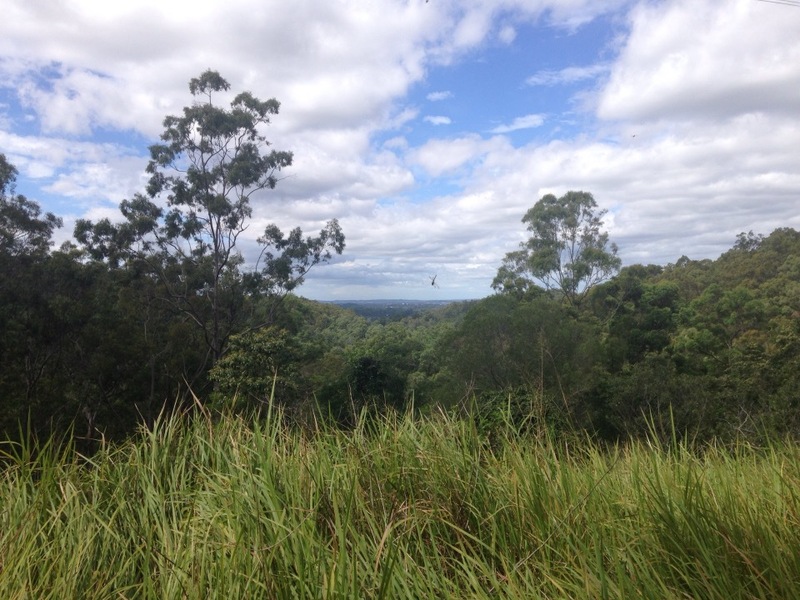 Situated on the western fringe of the city in the outer suburb of Anstead, after you leave the endless sets of traffic lights at Indooroopilly and head along Moggill Rd, you'll begin to see a number of ranch style acreages. Despite the rural setting, technically you're still within Brisbane city limits, and therein lies a major part of the park's appeal. Though for locals it's a probably a well known secret, for other Brisbane residents the park's accessibility offers a fantastic opportunity to escape the city's concrete confines without having to spend the better part of the day in the car. 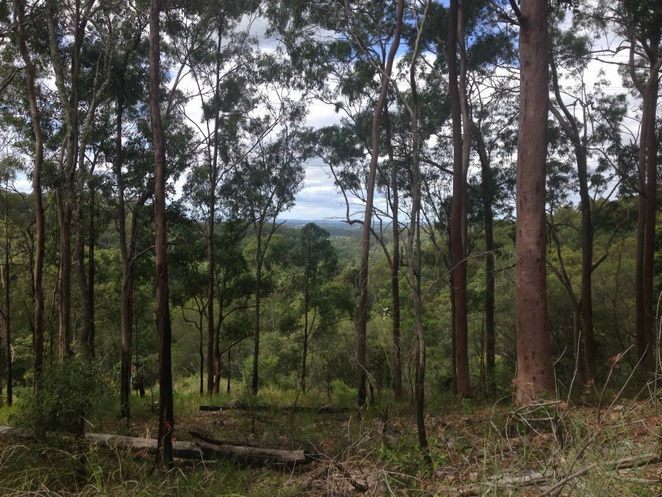 Situated 22km west of the CBD, Moggill Conservation Park forms the southern section of the D'Aguilar Range, a bushland corridor that extends north to Woodford. 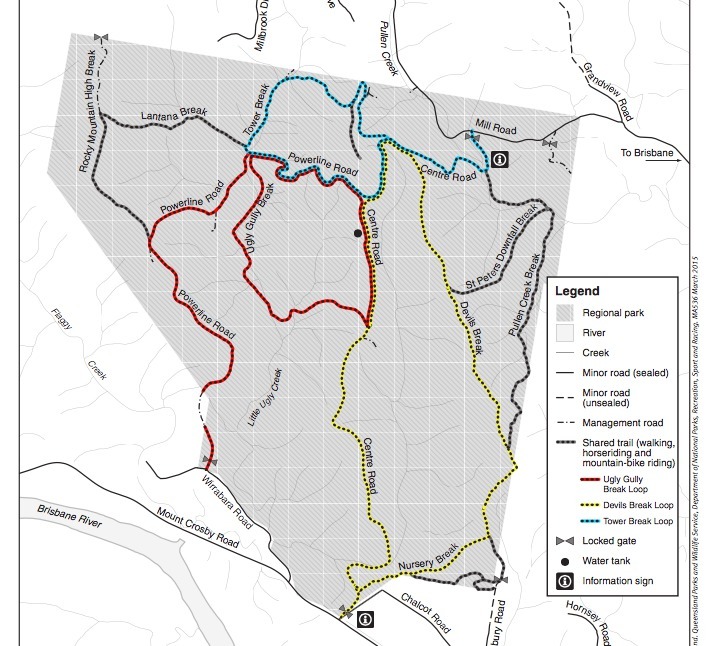 The park offers a network of clearly signposted pathways through a sprawling state forest with many trails rising steeply up from the forest floor winding their way along several ridges. With almost 500 hectares of bushland to explore there's plenty of space to disconnect and decompress. A network of well -maintained (and mostly wide) trails means there are great opportunities for not only bushwalkers but also horse riders and mountain bikers. While we didn't see any bikers on our visit, similar to the mountain biking trails around Mount Cooth-ha, the park offers a vast playground for riders with challenging climbs and thrilling switchback turns. We didn't see any folks horse riding, but judging by the horse shoe indentations in the mud and several clumps of freshly laid manure, there's definitely a chance you'll bump into a 'neighing neighbour' on your expedition. As well as being open to horses, another drawcard for Moggill Conservation Park is that unlike many other national parks and bushland reserves in the South East, dogs on leashes are permitted. This was a major deciding factor for us, not wanting to feel guilty about leaving the lovable pooch bored at home while we had a great day out. 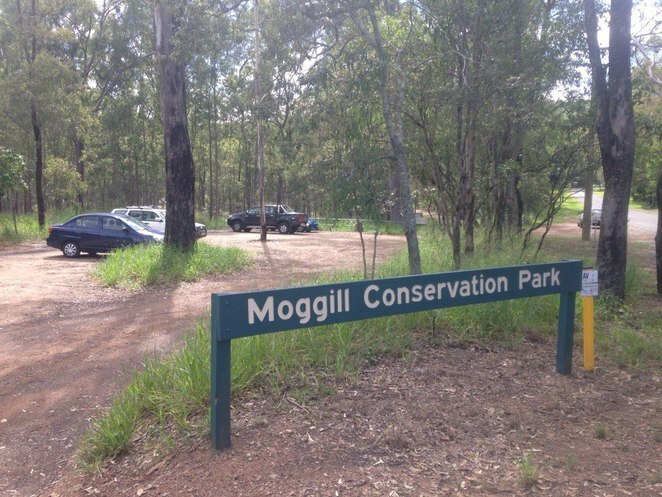 There are several entrances to the Moggill Conservation Park, and your GPS may take you down Grandview Road and then a few k's later onto Mill Road in Pullenvale. This will put you at the northern boundary of the park, but I'd recommend taking the Mount Crosby Road turnoff, driving for a couple of minutes and then parking at the small car park at Chalcot Road. At the southern entrance is a map to get your bearings. I'd strongly recommend studying this so you can remember what trails lead where. Remember there's almost 500 hectares of bushland so it's no doubt nice to know how you will your way back to the main car park. We used Google Maps to see where we (the blue dot) were in relation to the park entrance, with all trails clearly labelled. At each fork in the road is a clear signpost naming the trail so it's worth taking note of these. 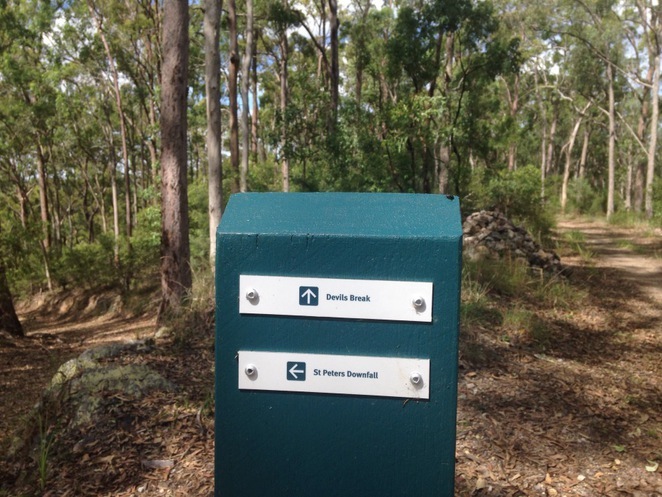 The first junction is between the Nursery break trail and Centre road and it's just one of the many choices of trails you can take within the sprawling eucalypt forest. At the first junction we took the Nursery Break trail which eventually turned into Devils Break road. The devils break trail slowly ascends a steep ridge running along the eastern boundary of the park. Eventually this connects with Tower Break Road one of the highest points of the conservation park which you can recognise by massive power lines running down the mountain like a massive flying fox course. There are some great views of the bushland and acreage homes along this route so it's worth bringing the camera. At the higher points if you look carefully you can even see a tops of a few of Brisbane's largest skyscrapers through the trees. There are also a few sets of boulders to take a seat and catch your breath. Hot tip: Bring water and a snack. We cursed ourselves for not bringing at least a apple or sandwich, you'll definitely work up a healthy appetite while hiking. After the excitement of standing under massive power line transformers, we zigzagged back down the steep trail into the gully along the Ugly Gully Break road. The Little Ugly creek (it's not entirely ugly since there's fresh running water) runs parallel to this trail and there are several shallow creek bed crossings, to the delight of an ever-thirsty pooch. We did see a snake basking on the trail in this section of the park and while it quickly slithered away, it's worth watching where you are walking. Eventually the Ugly Gully trail connected to the centre road, a main link back to the main car park. All trails combined, we covered the major eastern and central section of the park, taking us almost 3 hours. There's still so much we didn't cover and the beauty of the park means you can plan your own route beforehand or make it up as you go along. 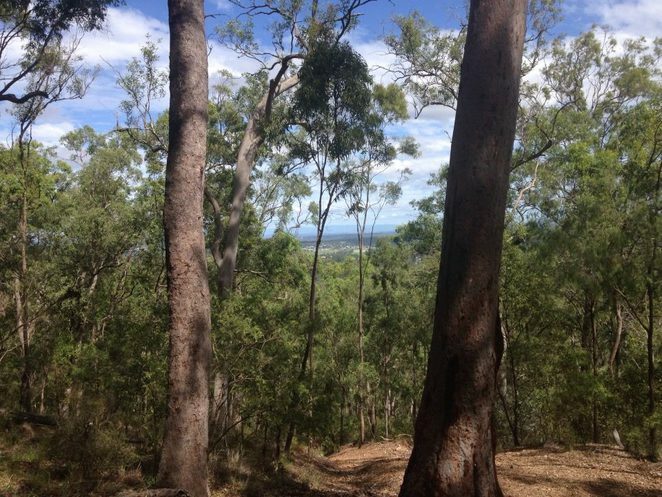 With tired legs and feeling like we'd also exercised our sense of adventure, I can say hand on heart Moggill Conservation Park is an underrated and often overlooked expanse of beautiful bushland awaiting your discovery. Next time you feel the need to run for the hills, you can replace towering concrete buildings with towering eucalypt trees. Just 25 minutes away from the heart of the city, even on a Saturday, it's likely that like us, you'll practically have the place all to yourself. Do u think any of the trails are accessible by wheelchair ,one with big wide tyres? 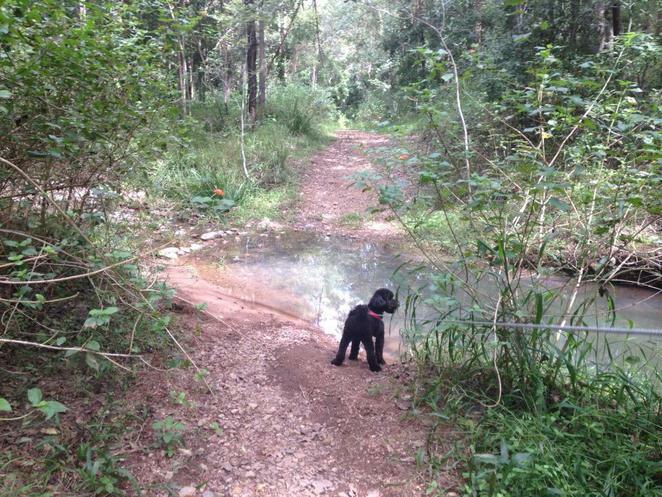 Great to hear about dog-friendly walking trails. Thanks for the article Julian. I've just moved to Brisbane so I think I'm going to give this park a go! :) Thanks for the very well-detailed article.